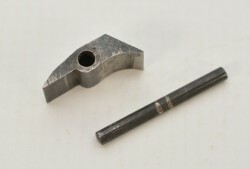 Description: This locking bolt remains in excellent condition and comes complete with Cartridge stop and pins. 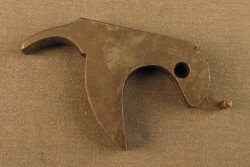 Description: A lever from a 1900 mfg. rifle with silver grey finish and in excellent condition. 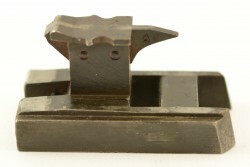 Description: One Winchester 73 trigger block and pin in very good condition.